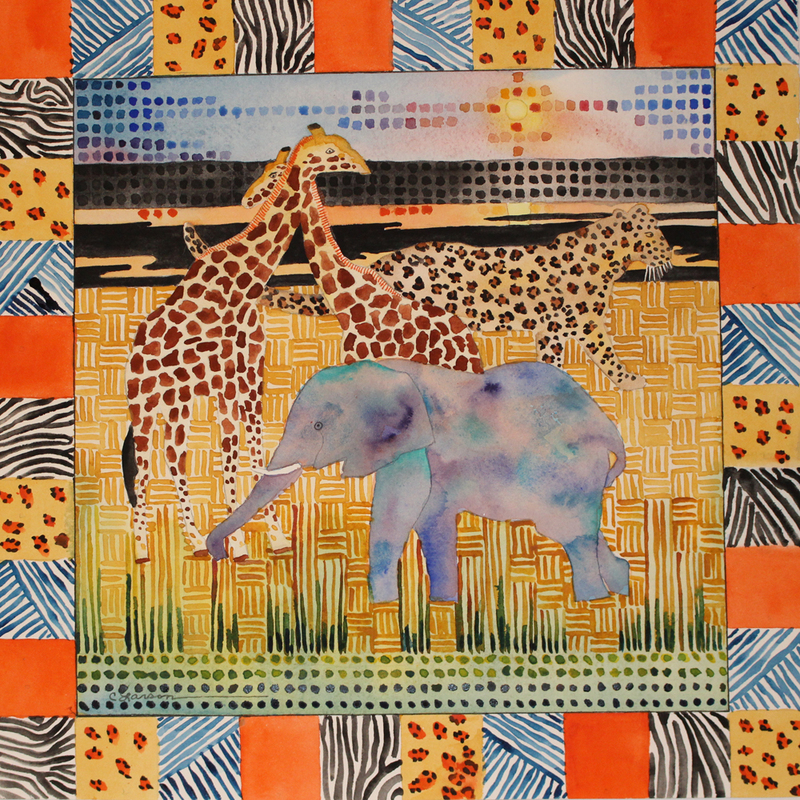 My newest painting, Patterns of Africa, will be showing at the Lakeville Arts Center, 20965 Holyoke Avenue, Lakeville, Minnesota, from November 5 through November 30, 2016. 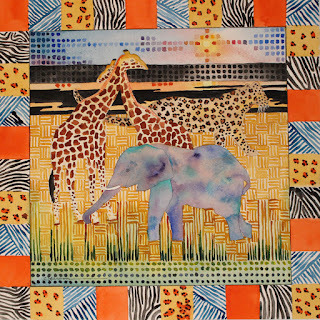 Please stop in and see it and all of the other amazing artworks. History of Medicine: What was the earliest anesthetic? I recently visited a small museum in rural Nebraska. 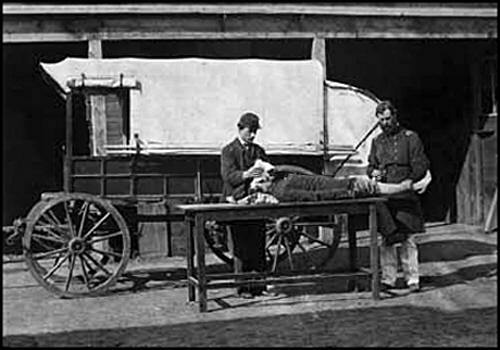 The frontier doctor who practiced in this town left his medical equipment to the museum. The crude anesthesia masks, composed of a rigid stainless steel form covered with gauze and secured with safety pins (yes, safety pins - really?) was on display in a glass case. Presumably these were used to administer ether, or perhaps chloroform. At any rate, they, and the fact that my son is an anesthesiologist, piqued my interest in the history of anesthesia. So I wondered: What was the earliest anesthetic? Turns out, we don't really know when the first, let alone the first effective anesthetic, was administered. True, once the age of medicine came into it's own in the nineteenth century along with the invention of the scientific method, we have a pretty good idea of how it all evolved. But what about long before that? We know from ancient artifacts that opium was well known as early as 4000 BCE and that acupuncture was in use by the Chinese as early as 2250 BCE. Of course, wine and alcohol alone or mixed with various plants has been used to dull the awareness of pain since virtually the beginning of time. Dioscoridas (AD 40-90), a Roman surgeon, used wine from the mandragora (mandrake) plant to induce a deep sleep. He used the word "anesthesia" to describe this sleep. It seems clear that none of these methods were sufficient to induce general anesthesia as we know it today. Thus, surgery did not truly evolve as an efficacious treatment until the patient could be safely anesthetized and revived and dentistry only became tolerable when pain control was on offer (some folks would argue that a visit to the dentist is still not tolerable - but that's a story for another day). 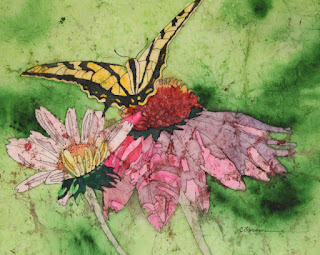 My painting Butterfly on Cone Flowers has been accepted into the Minnesota Watercolor Society Spring Show currently underway at the Minnesota Landscape Arboretum. The show runs until June 29, 2016. The painting features a batik technique using a wax resist with transparent watercolor.